Highlight the projects which are important to you. Choose to filter your projects to only show you that are starred. See exactly how much you have spent on each project at a glance. See how your budget burns, and know exactly how much is left. Invite your team to Bluesky and assign them to different projects. Get a breakdown per team member and see exactly how much time and money a project is costing. 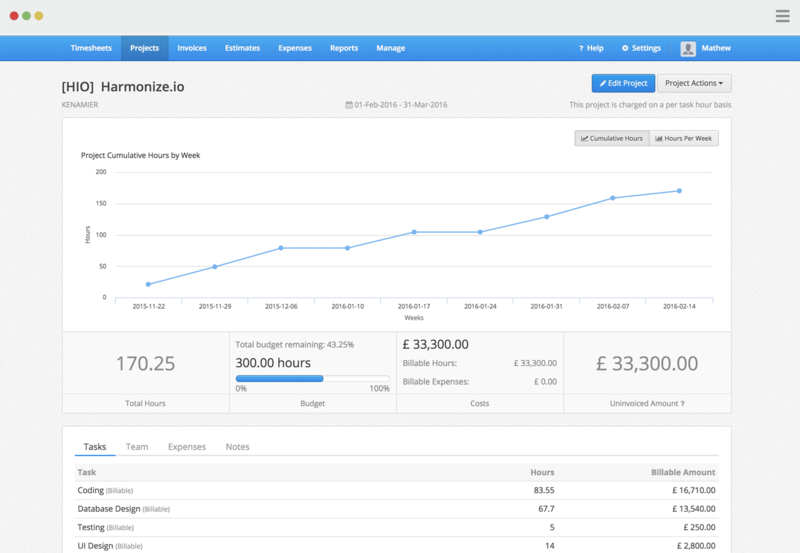 One screen to see all your project details from hours spent, budget progress and costing. Interactive graphs show you exactly where you are up to in your project. See exactly what time is being spent per task and per person.